In both 2006 and in 2007, he was recognized as a Massachusetts Super Lawyers Rising Star (as featured in Boston Magazine). Massachusetts, Maine and New Hampshire; Admitted to practice in all of the federal and state courts in Massachusetts, Maine and New Hampshire, as well as before the U.S. Court of Appeals for the First Circuit and the Federal District Court of Colorado. Steve counsels clients on all federal and state employment issues, including employment discrimination and harassment; disabilities and leaves of absence; employment policies and handbooks; employee privacy; wage and hour compliance; employee discipline; terminations, reductions-in-force, and plant closings; hiring and background checks; internal investigations; wrongful termination and whistleblower claims; and the drafting and enforcement of all forms of employment contracts, including non-competition, confidentiality and anti-raiding agreements. Steve also has a unique niche representing companies in connection with workplace safety and health (OSHA) matters. He has conducted numerous safety compliance audits for companies in the biotechnology, health care, chemical distribution and manufacturing industries, as well as represented employers in litigation before the Occupational Safety and Health Review Commission. He also has been authorized by OSHA to conduct outreach training on safety and health matters and regulations. Steve is also an experienced employment litigator, representing employers in state and federal courts around the country (including Massachusetts, Maine, New Hampshire, California, Colorado, New York, Vermont, Connecticut, Florida, Georgia and New Jersey), as well as before a number of federal agencies, including the U.S. Department of Labor, the Equal Employment Opportunity Commission and the National Labor Relations Board. 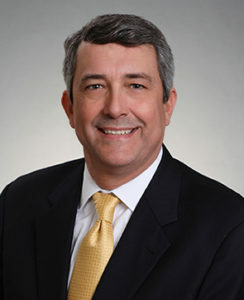 In addition, Steve has represented management before a variety of state agencies throughout the United States, including the Massachusetts Commission Against Discrimination, the Massachusetts Attorney General’s Office, the Massachusetts Division of Unemployment Assistance, the Massachusetts Department of Industrial Accidents, the New Hampshire Commission for Human Rights, the Texas Commission on Human Rights, the Illinois Department of Human Rights, the Florida Commission on Human Relations, the Connecticut Commission on Human Rights and Opportunities, the Nebraska Equal Opportunity Commission, and the South Dakota Division of Human Rights. Steve also has extensive experience in arbitration and mediation before a variety of ADR forums..
Steve is a frequent trainer, author and lecturer on a variety of employment law topics. He is the co-author of the “Labor and Employment Law” chapter of Advising a Massachusetts Business (MCLE, Inc. 2011). He also has been featured on National Public Radio as well as in The Wall Street Journal, The National Law Journal, The New York Daily News, The Metropolitan Corporate Counsel, The Boston Business Journal, New England In-House and Massachusetts Lawyers Weekly. Steve’s prior in-house experience enables him to bring a practical, business-oriented approach to legal issues. He previously was the General Counsel at Salary.com, Inc., where he was responsible for all legal matters, including corporate governance, software licensing, employment, litigation and intellectual property. Prior to that he served as the Global Employment and Litigation Counsel for Sapient Corporation, where he worked closely with management and human resources to develop policies and procedures and mitigate legal risk for all of Sapient’s facilities in North America, Europe and Asia. Prior to co-founding the firm Steve was a partner at Bello Welsh and was once an associate at Mintz, Levin, Cohn, Ferris, Glovsky & Popeo, P.C. Prior to attending law school, he graduated from the Management Development Program at Bath Iron Works Corporation, where he drafted and negotiated domestic and international commercial contracts and coordinated the company’s export licensing program.